A 60-year-old man plunged to his death when he fell from a helicopter flying near Newport Beach on Tuesday, Nov. 5, 2013. 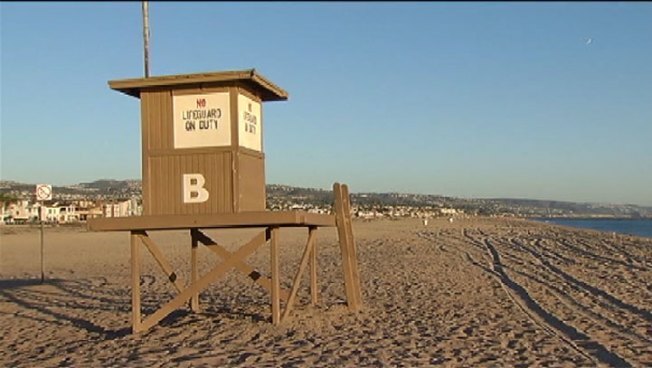 A man died after falling hundreds of feet from a helicopter hovering over Newport Beach in California on Monday, police said. A private helicopter reported a passenger fell just before 1 p.m. as it was flying near the Balboa Pier, according to a news release by the Newport Beach Police Department. The Orange County coroner identified him as 61-year-old Gregory McFadden of West Covina. A police helicopter searched for the man and found him in the ocean. Lifeguards brought the man to shore and gave him CPR before he was taken to an area hospital, police said. Rescuers swam about 100 to 150 yards out from the Balboa Pier to get the man, said Newport Beach Lifeguard Officer John Moore. "In my career, I've never seen this happen before," Moore said. "But we rescue people from the ocean no matter what circumstances get them there." The man died in the hospital. His death is being investigated as a possible suicide, according to the release.